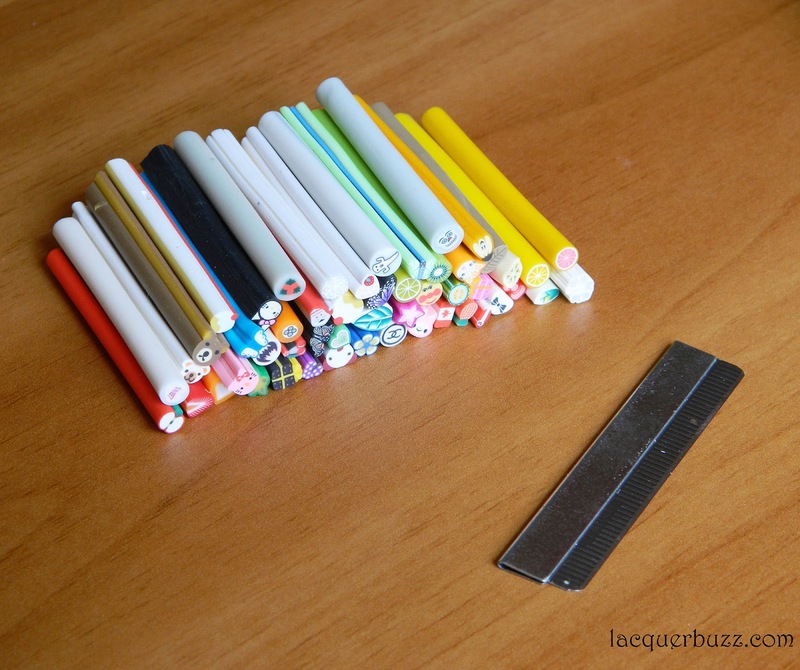 I recieved a pack of 50 fimo canes and a blade in order to cut them. There's a good variety of patterns in this set: fruits, flowers, animals and even a few holiday themed ones. It isn't the first time I try fimos but it's the first time I get them as canes instead of having them pre-cut. The blade is sharp but cutting the slices thin enough can be a challenge. I recommend practicing on a cane you don't like that much because the first slices can be really thick. 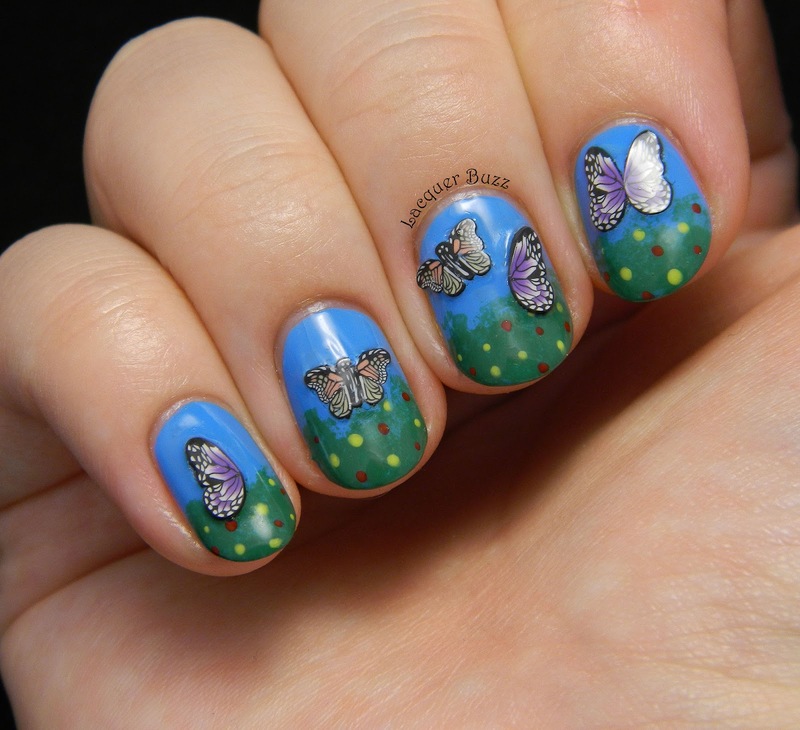 I chose two of the butterfly fimo canes to create a manicure. You can see in the pictures that some of my slices are still pretty thick. It will probably take some time for me to get the hang of cutting really thin, almost see-through pieces. Even though my slices were thicker, I managed to get them to lay flat on the nail. I didn't use any glue, just some top coat to make them stick. I finished with a final coat of top coat to seal everything in. The second item I got sent is a manicure kit that comes in a very neat little box. 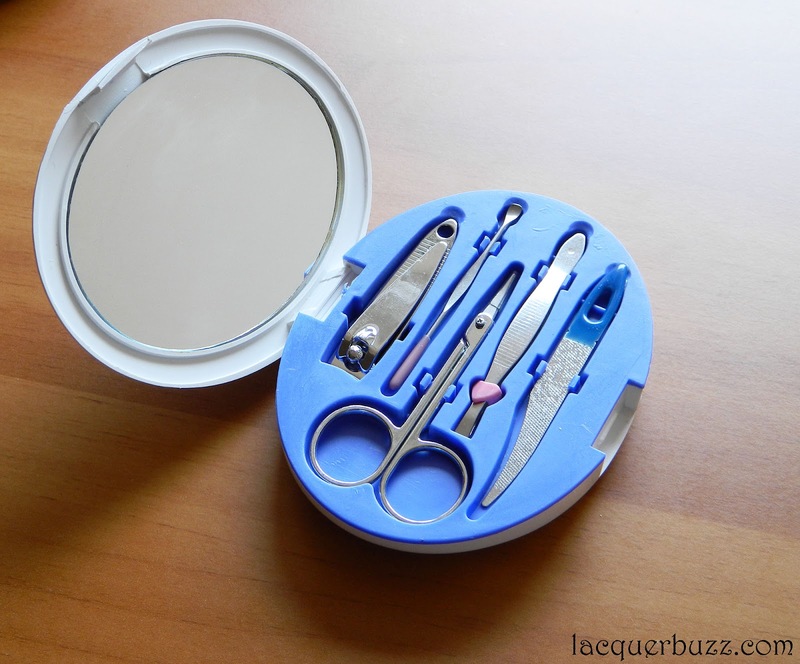 It can be used as a compact because it has a mirror on the lid. This makes it very practical to carry around in your purse, especially because it has the perfect size and doesn't take a lot of space. Nail clippers - very study and well made. These can be used to shorten your nails, especially if you have a lot to take off and filing can take too long. Cuticle tool - perfect for pushing back your cuticles. 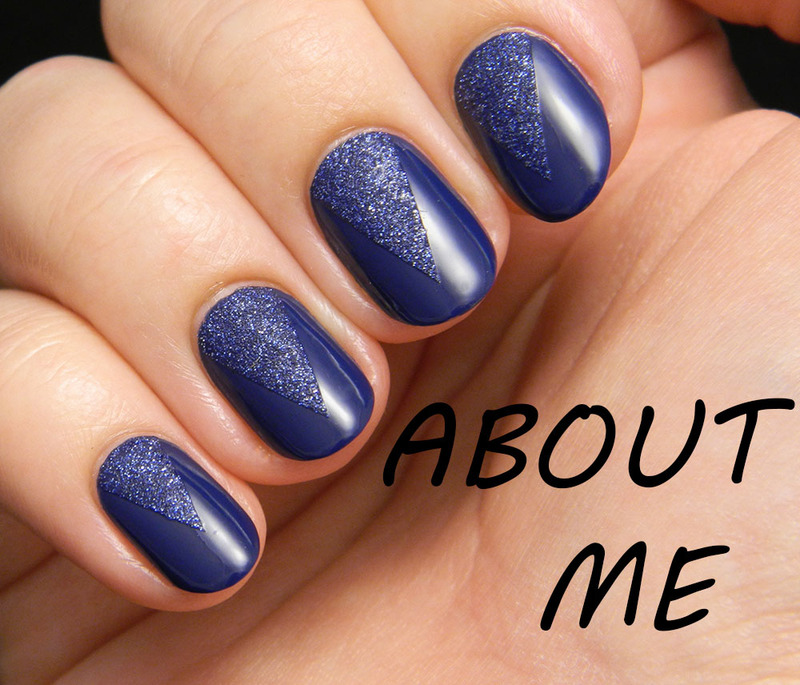 Don't forget to use a cuticle softening product before you push them. 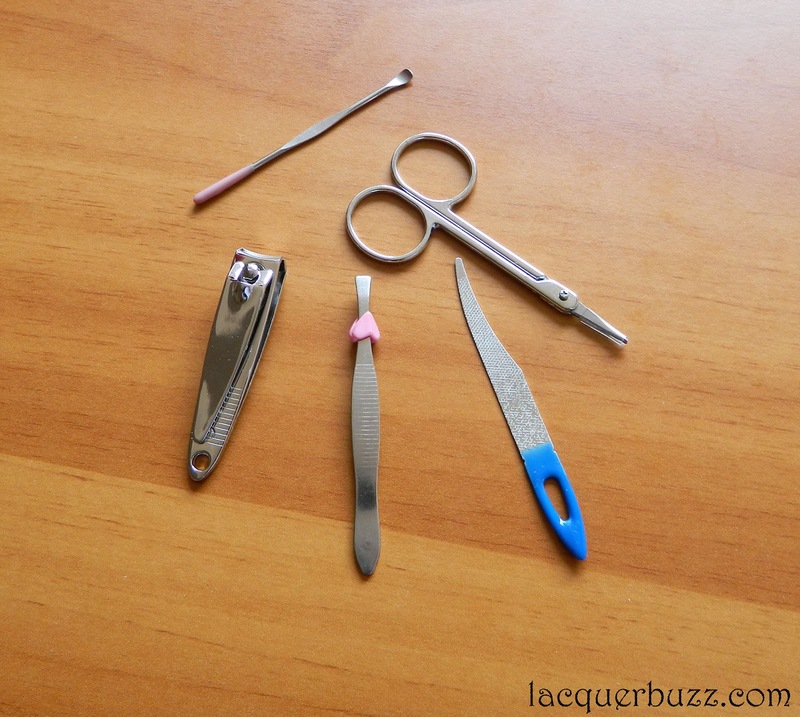 Small scissors - can be used for hangnails and such. I don't recommend cutting your cuticles and these scissors are too delicate for cutting nails. 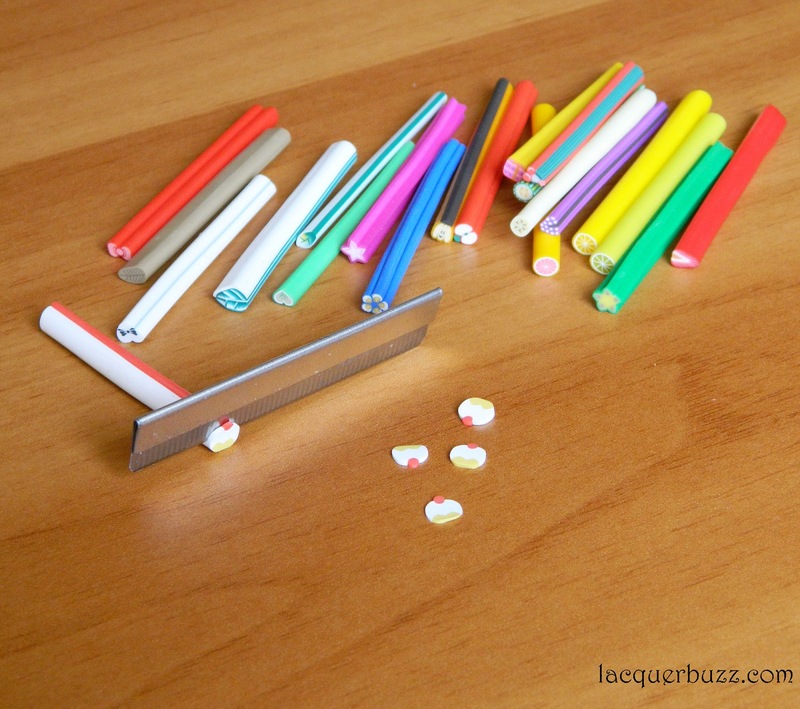 Tweezers - these aren't very sharp so I will probably use them for picking up nail art decorations. Nail file - I prefer filing my nails with a glass file but this one is good for little touch-ups on the go. 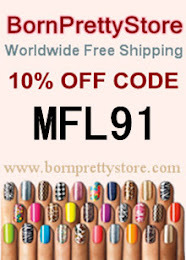 If you are interested in purchasing these products or any other nail stuff you can find them here: Tmart Nail Art Decorations and Tmart Manicure Kits. Hope you enjoyed this review. Thank you for stopping by! Disclaimer: Products sent for review consideration. For more info see my official disclosure policy. 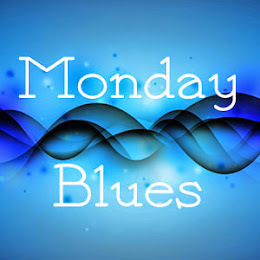 If you are a blogger and are interested in doing a review for these products, please contact: cheneyaustin82@yahoo.com. 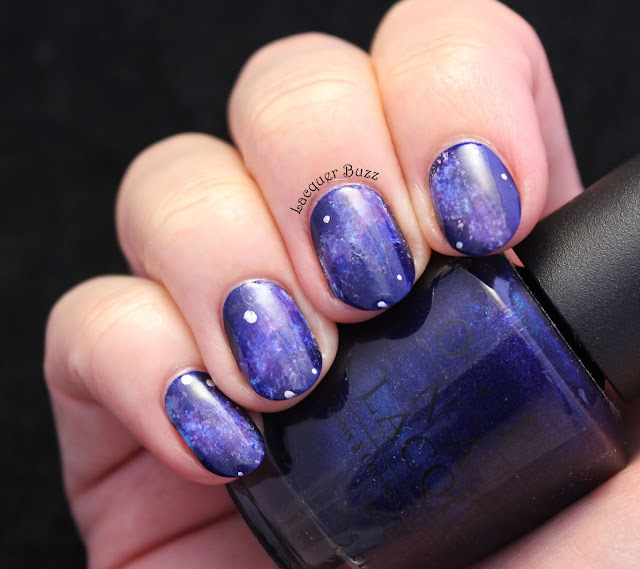 The mani is so so pretty! Great use of fimo! 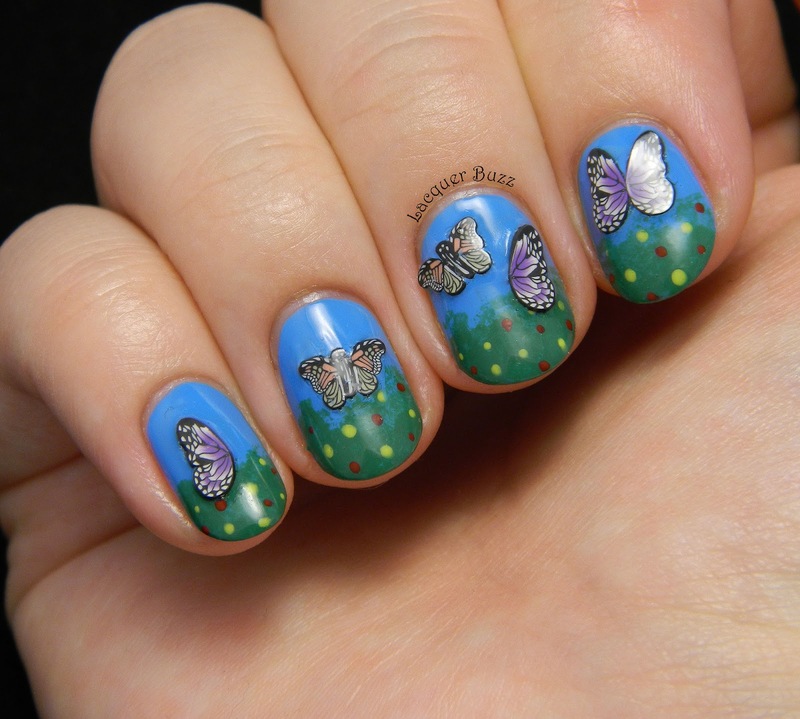 That manicure with the fimo butterflies turned out amazing! Its so cute. Manichiura arata impecabil! Eu nu sunt mare fana a produselor fimo, cred ca am folosit max. de doua ori, dar mi sau parut destul de incomode, desi eu am ales varianta pretaiata. 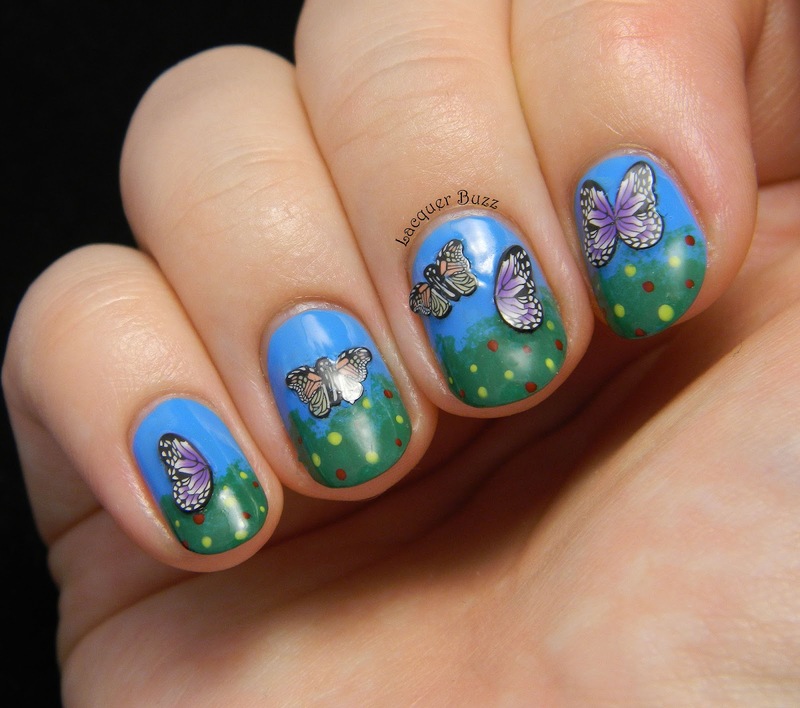 I love what you did with those butterflies! And it looks like you were able to cut the fimo super thin!! Superb ti-a iesit! Fimo-urile le-am marit sa le vad mai bine :)) Sunt adorabile! Mai ales hello kitty roz si frunza aceea verde :) Abia astept sa mai postezi ceva cu fimo!